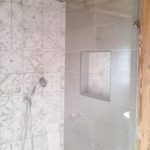 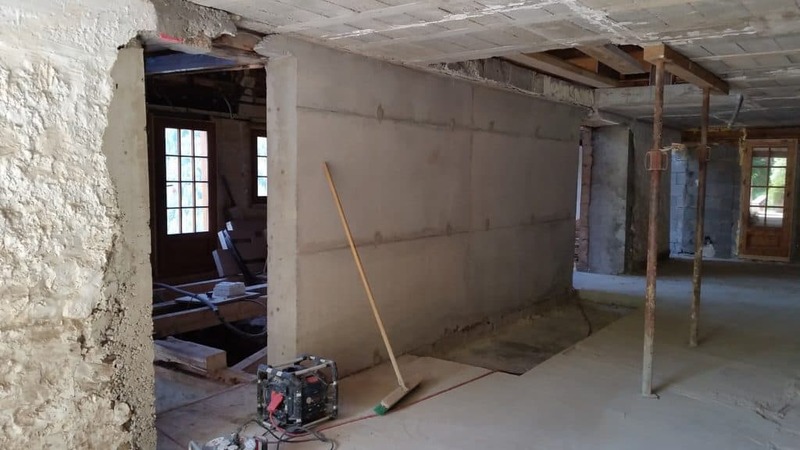 We have included below a series of photographs showing the progress of our renovation project throughout 2016. 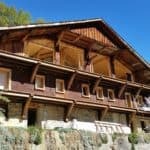 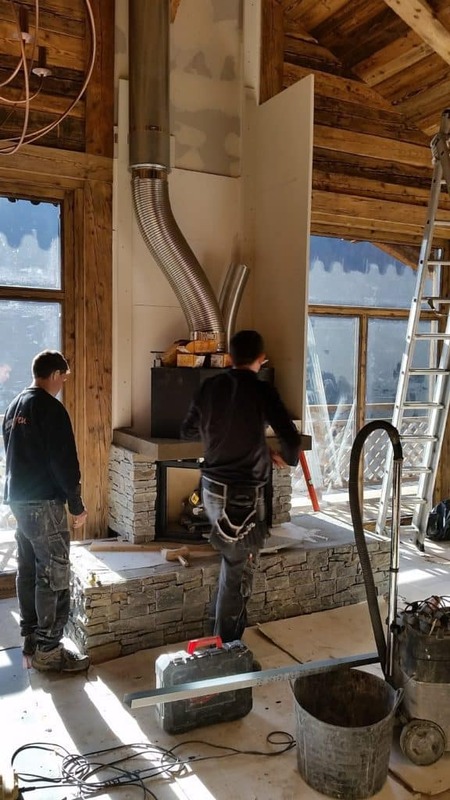 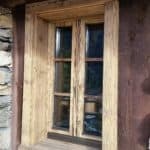 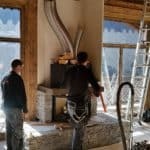 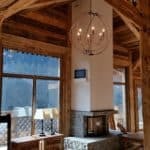 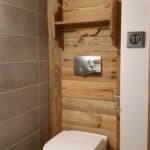 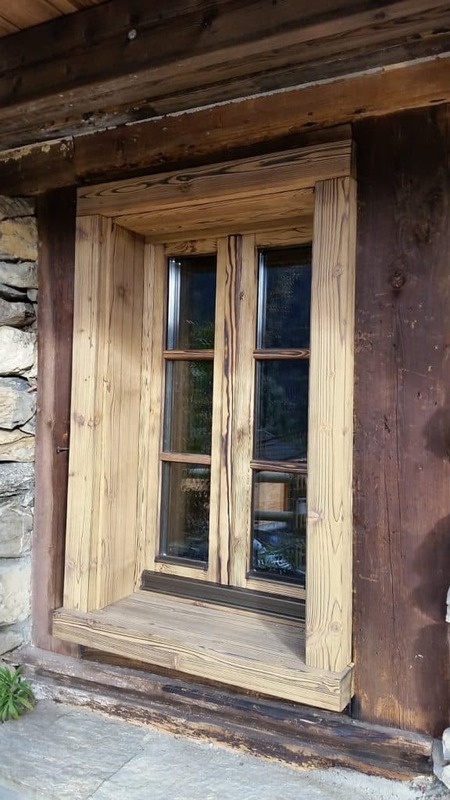 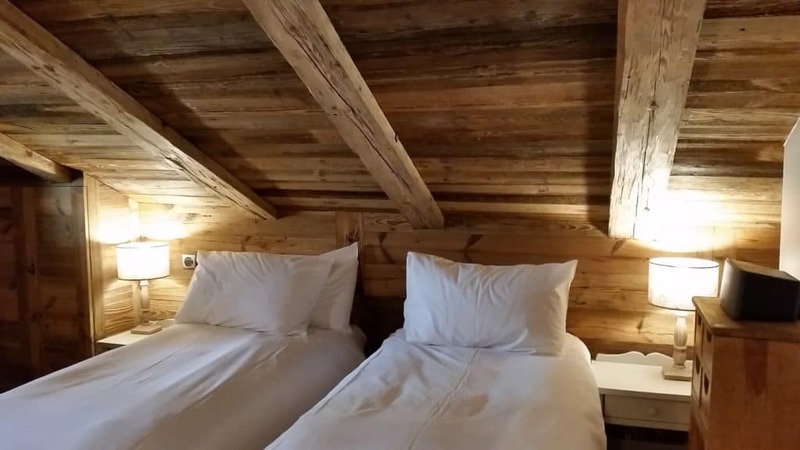 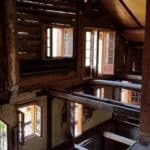 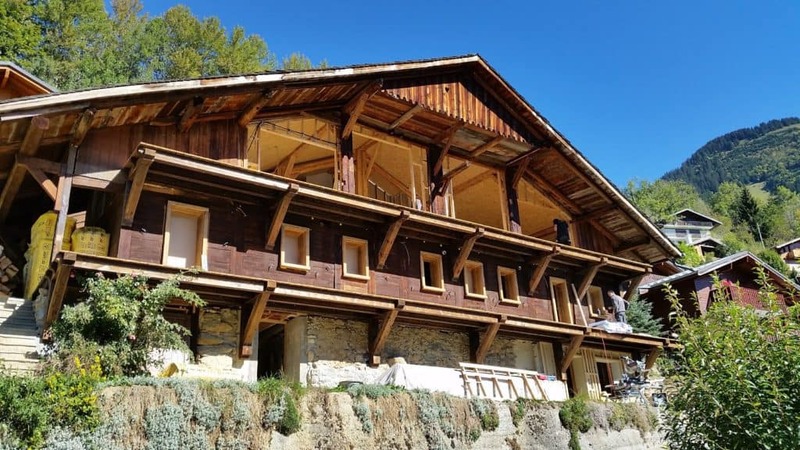 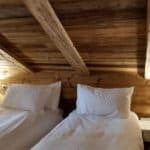 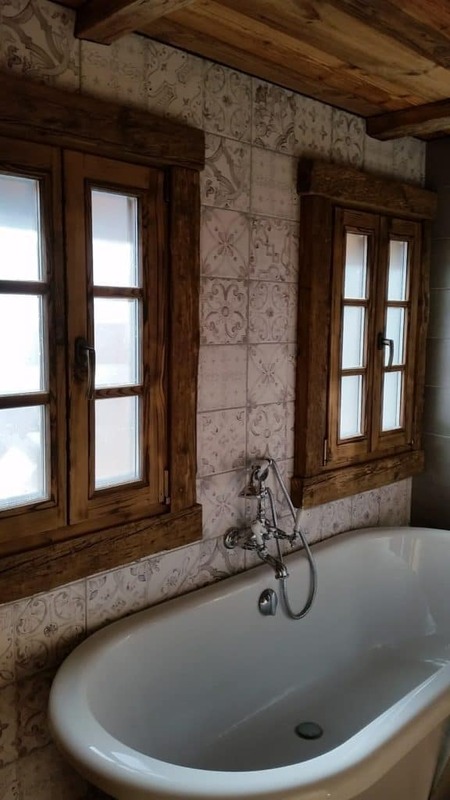 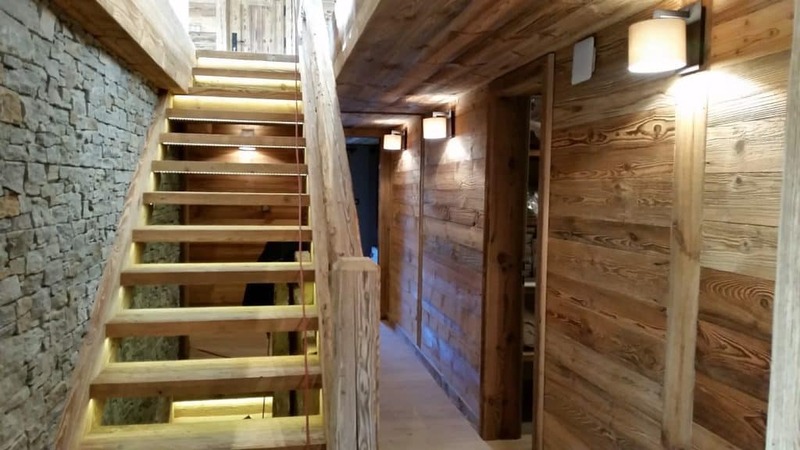 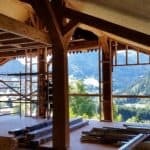 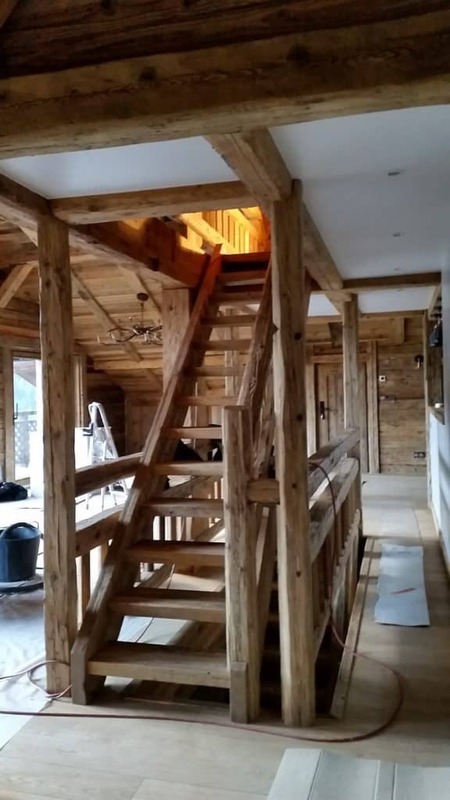 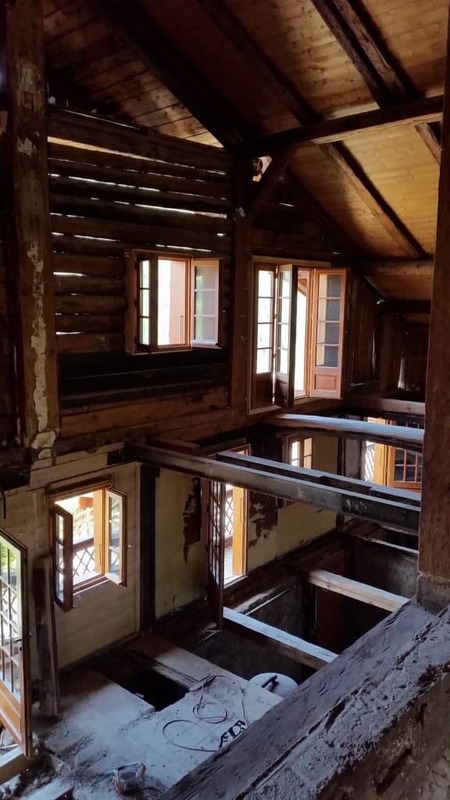 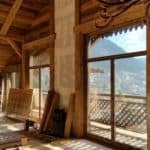 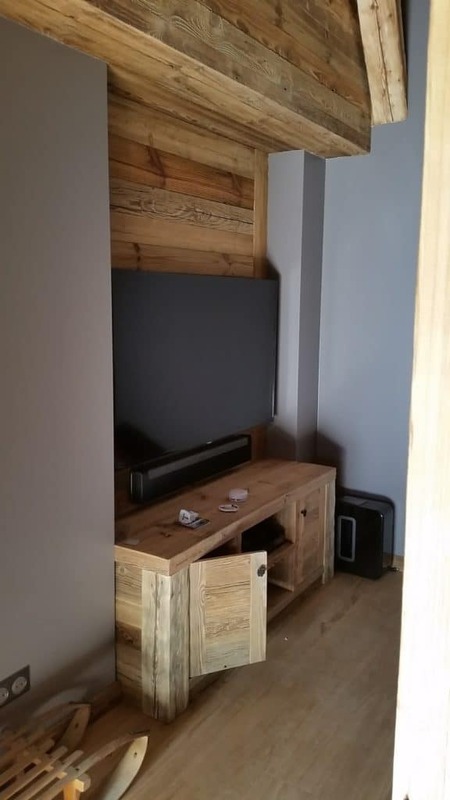 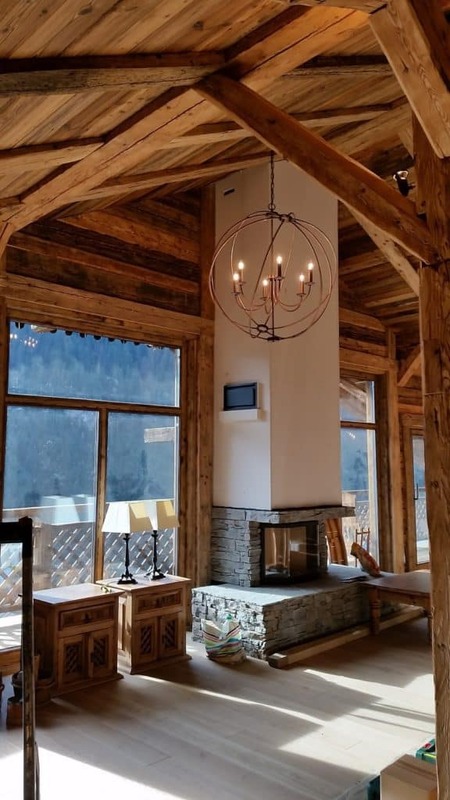 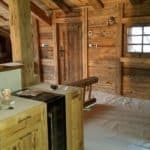 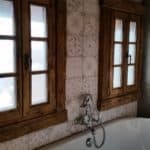 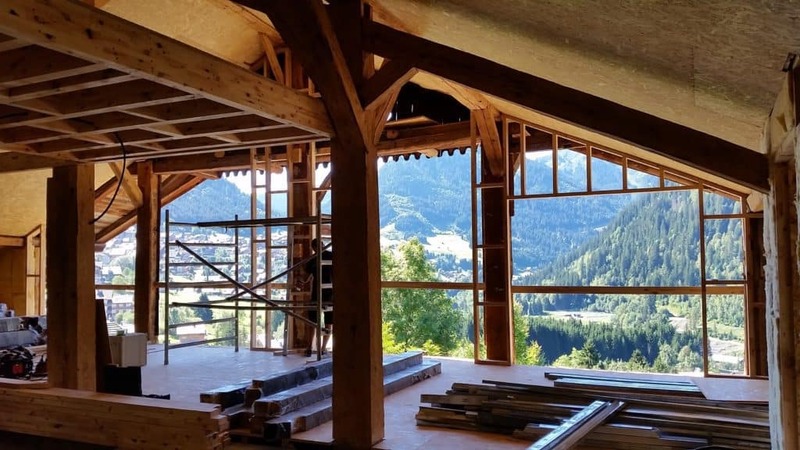 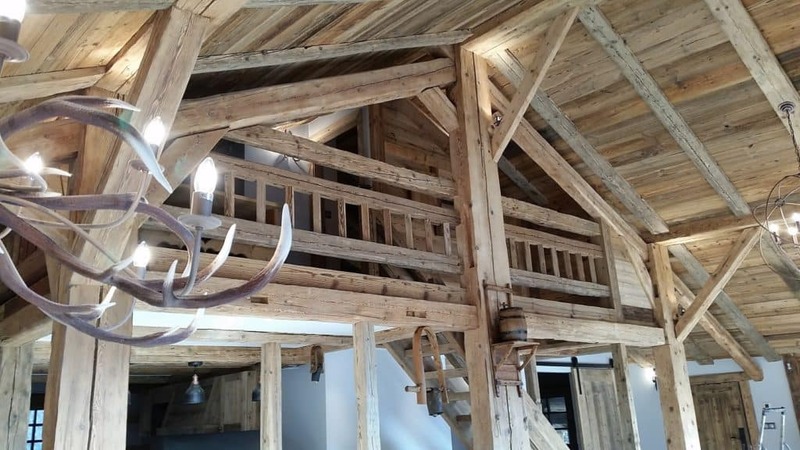 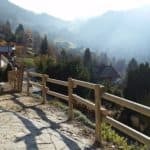 What a project it has been...From top to bottom we have reshaped a lovely old alpine property, giving it a fabulous interior while maintaining all those lovely alpine features.You can view the beautiful finished chalet in our gallery. 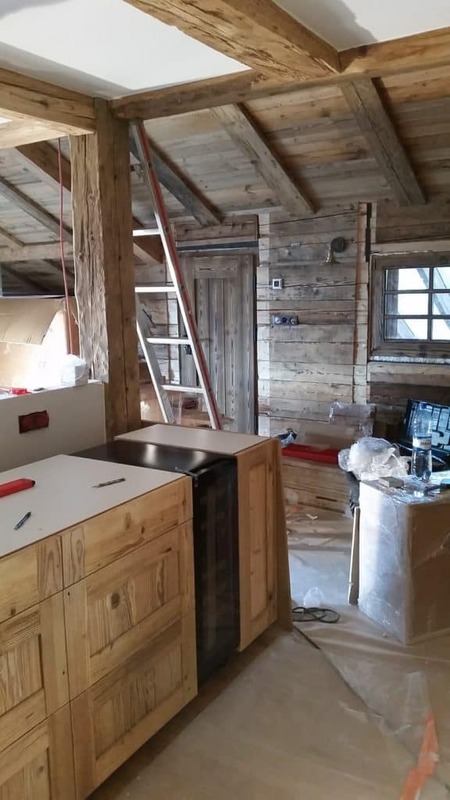 December saw the final touches being added to the interior fittings. 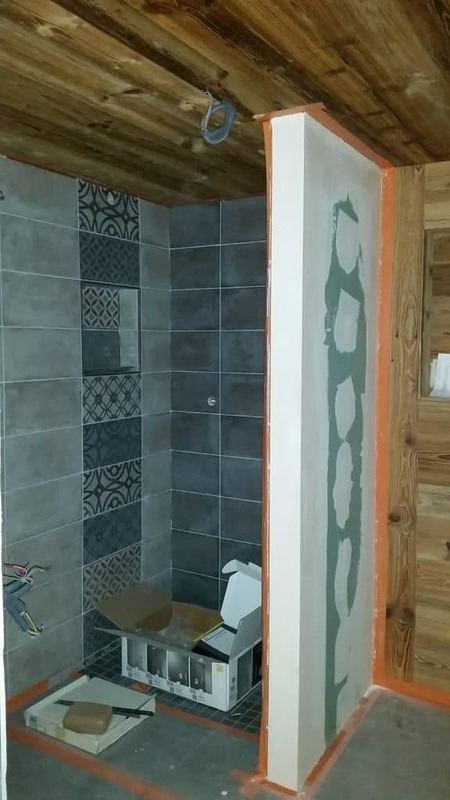 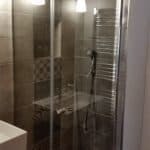 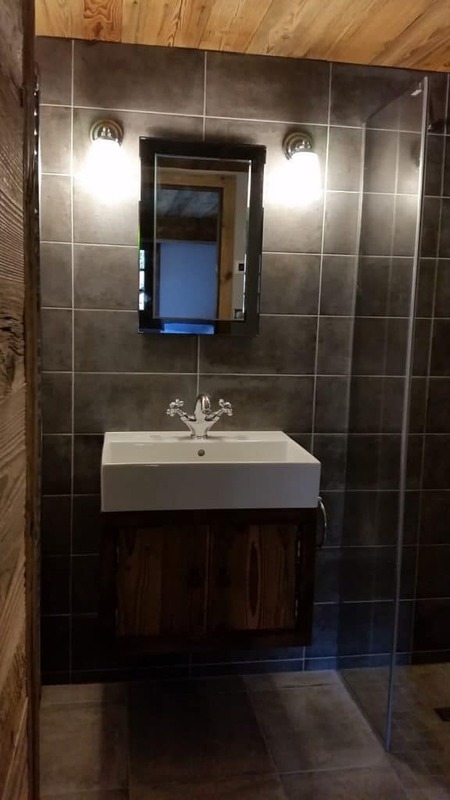 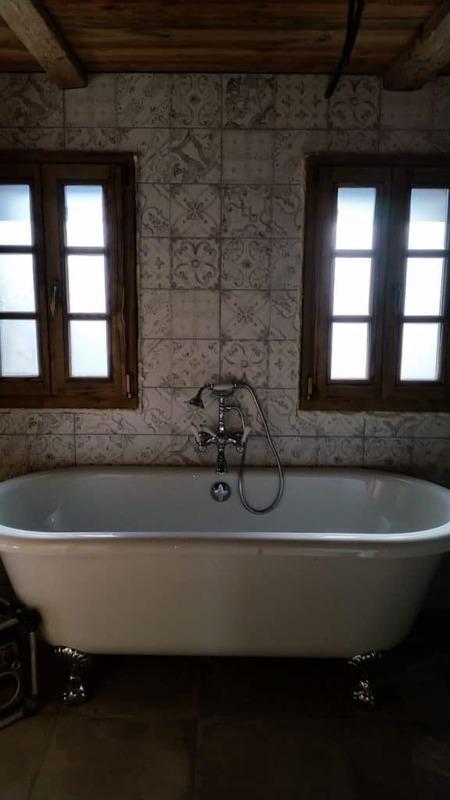 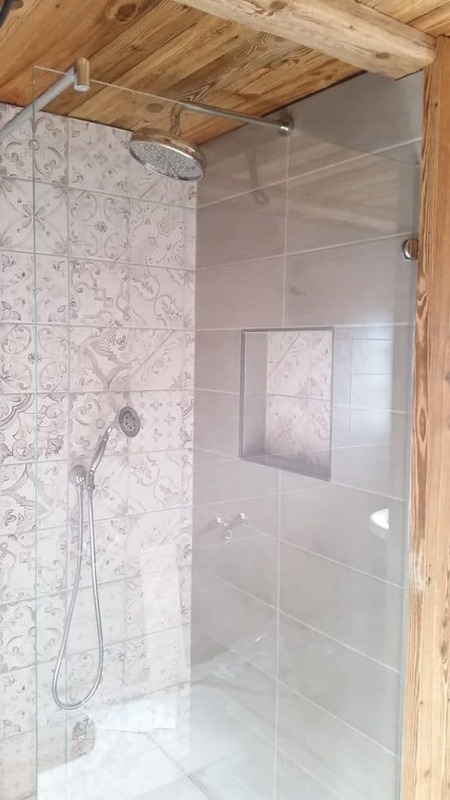 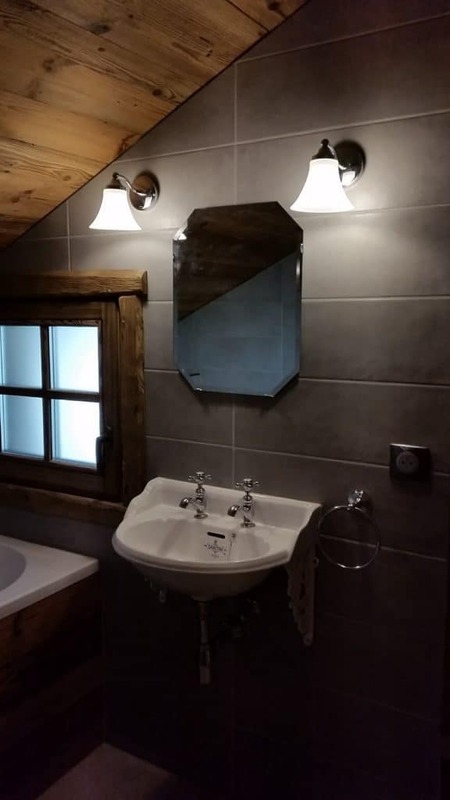 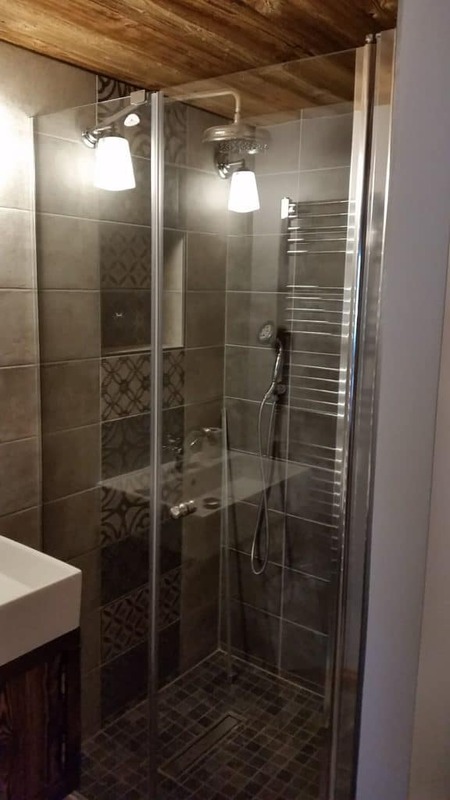 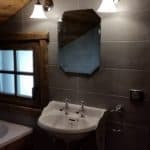 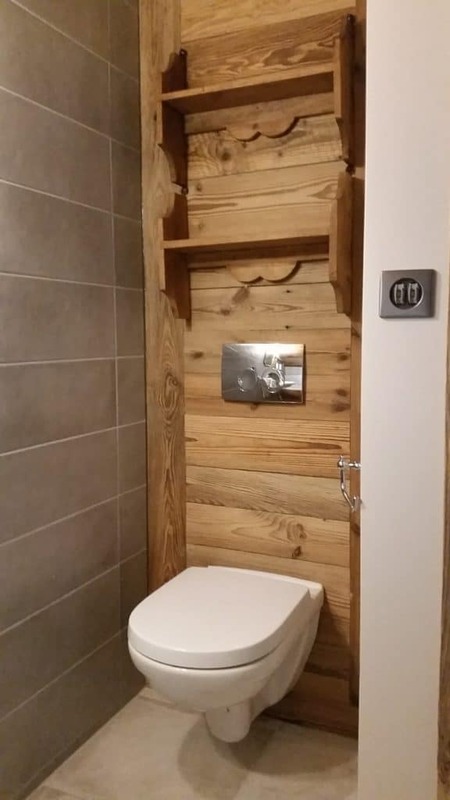 The furniture was moved into place, mirrors were installed in the bathrooms. 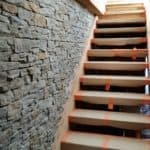 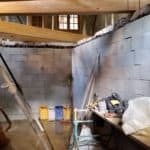 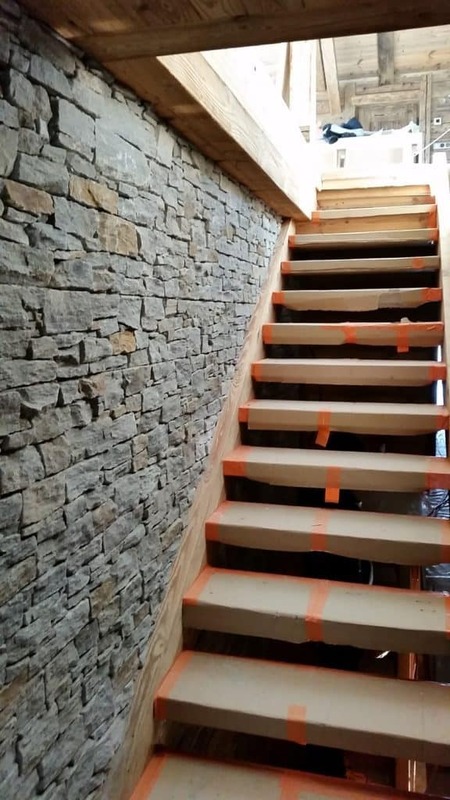 The protective coverings on the floor were removed and the stairs were uncovered. 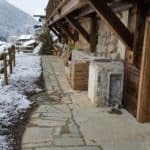 All ready for the lifts to open! 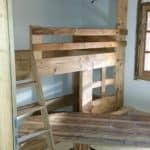 The stairs and windows are fitted, the floor boards are down (but covered in plastic to protect them in the photos). 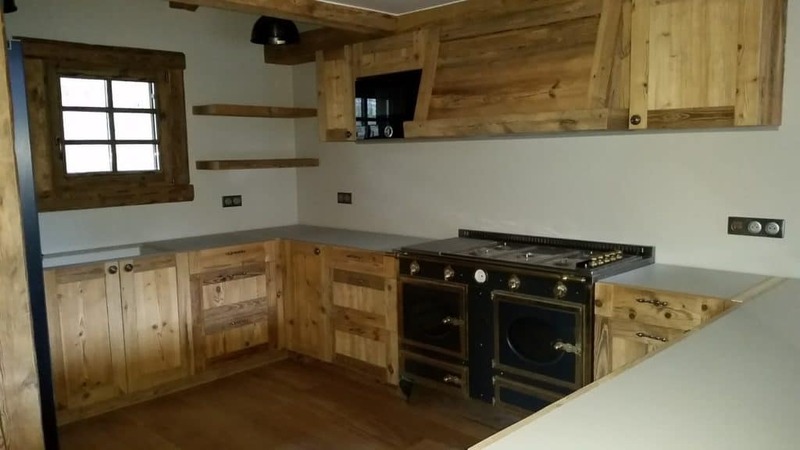 The kitchen has been installed with wine cooler and range; we are just awaiting the granite worktop next week. 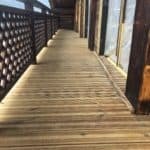 The lights are going in - don't they look great! 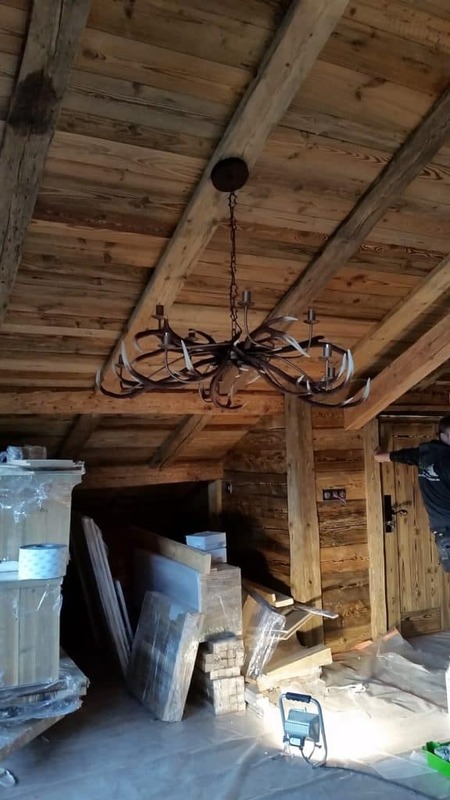 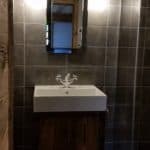 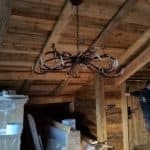 Bespoke furniture will arrive next week completing the bathrooms and delivering the huge hand-crafted larch dining table to sit under the antler lights. 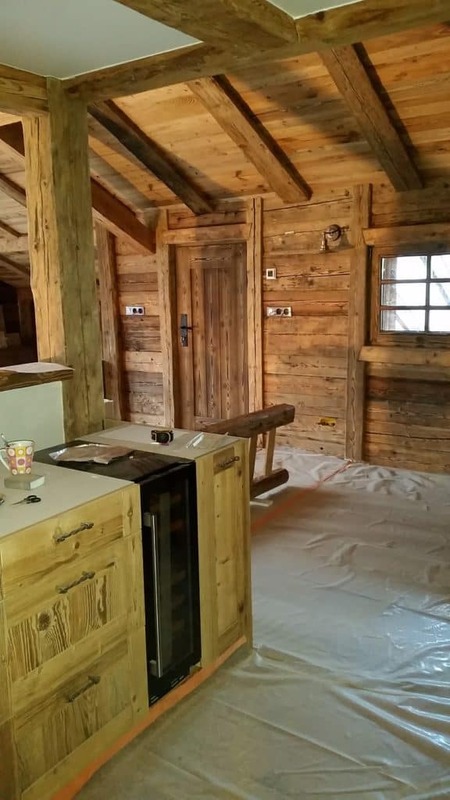 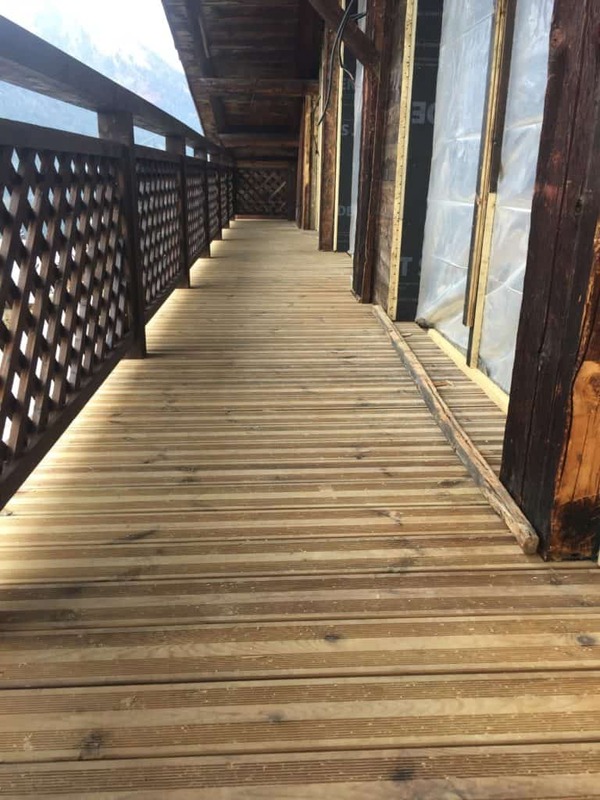 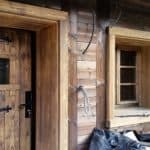 The external parts of the chalet are finished off before the onset of the winter weather. 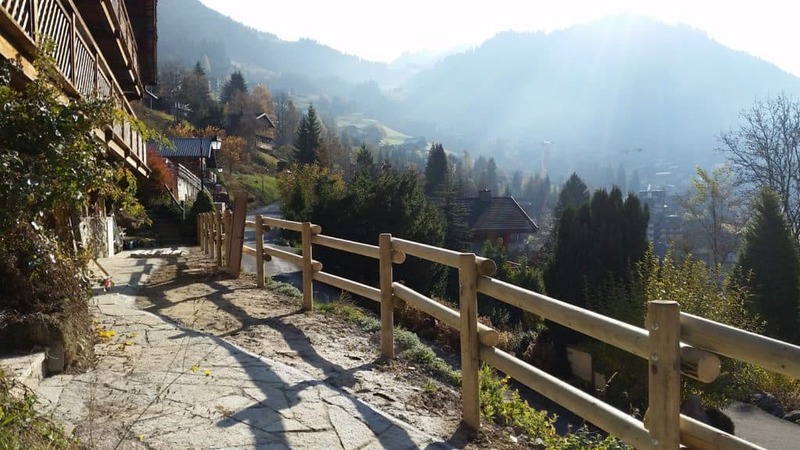 Cold temperatures but amazingly sunny days! 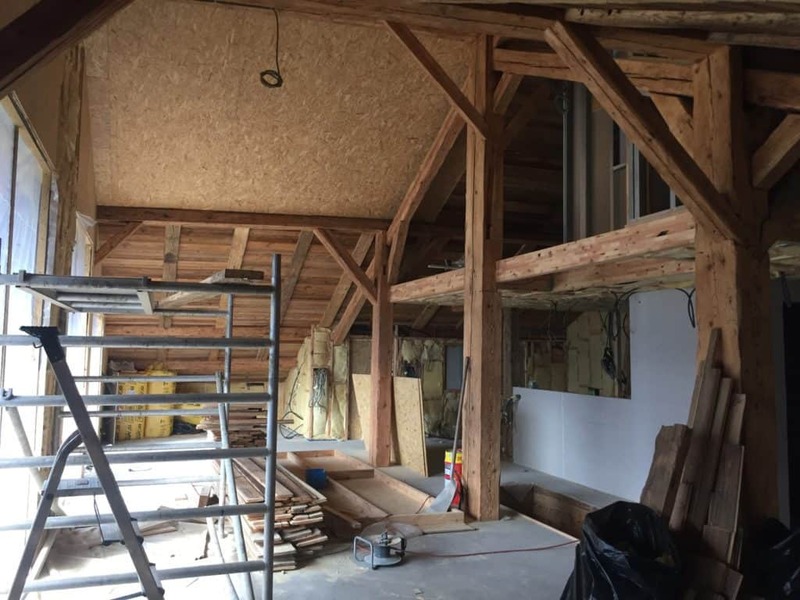 Lots of progress this month with internal and structural works. 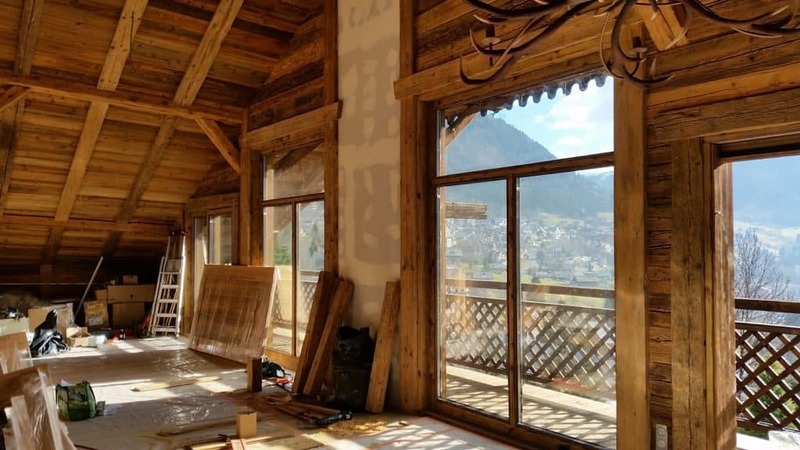 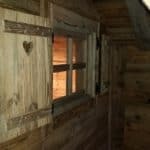 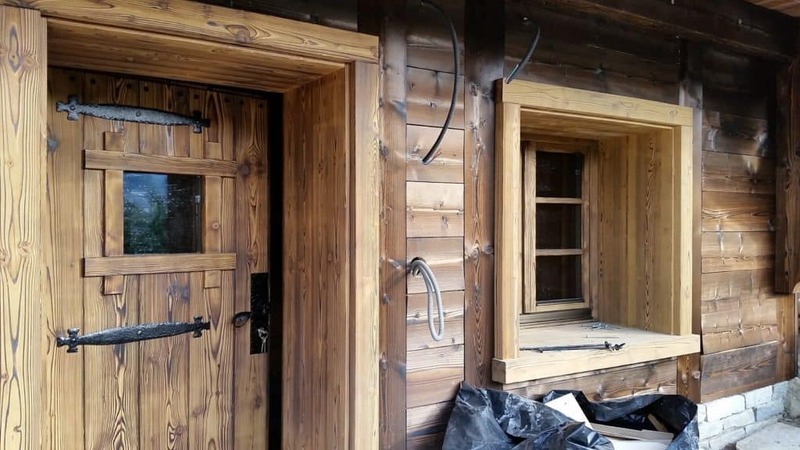 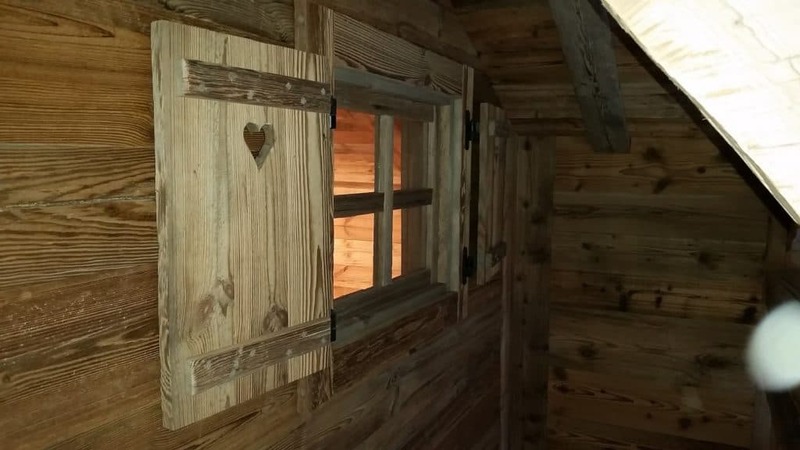 The window frames are fitted into place which provides the new structure to the exterior of the chalet. 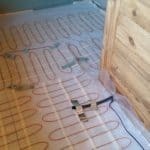 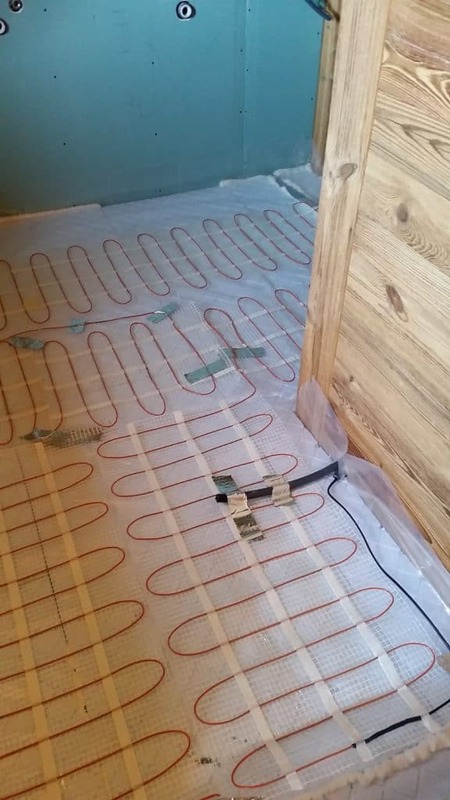 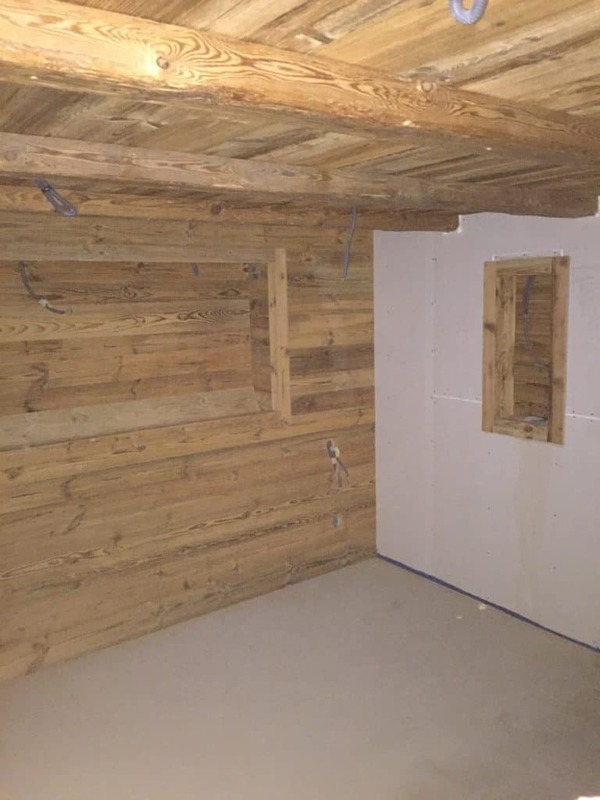 The underfloor heating is laid and some of the bedrooms get their lovely old wood cladding. 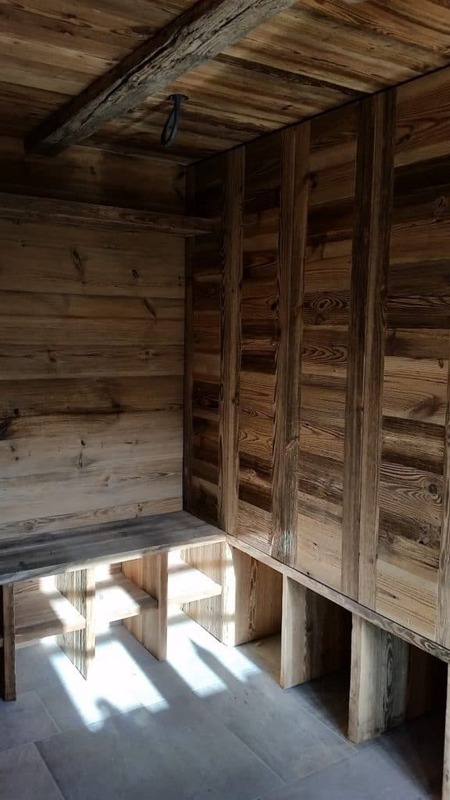 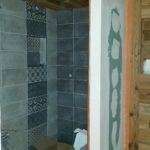 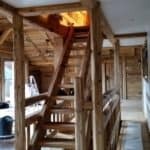 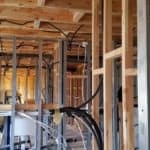 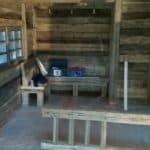 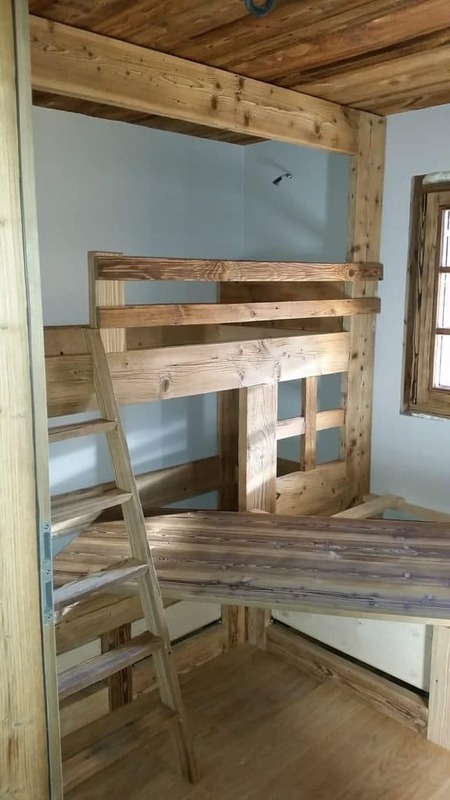 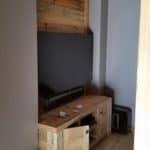 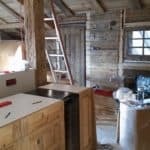 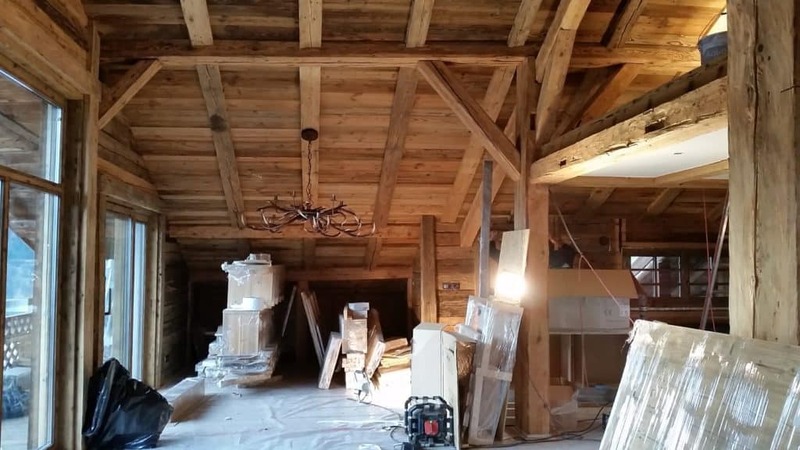 The interior of the chalet is beginning to take shape. 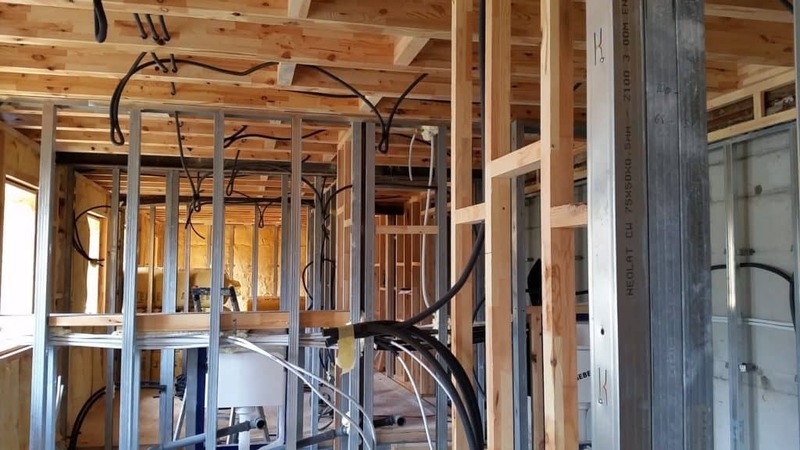 The partition walls are being built allowing the electrics and plumbing to be started. 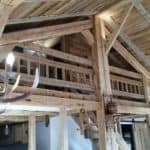 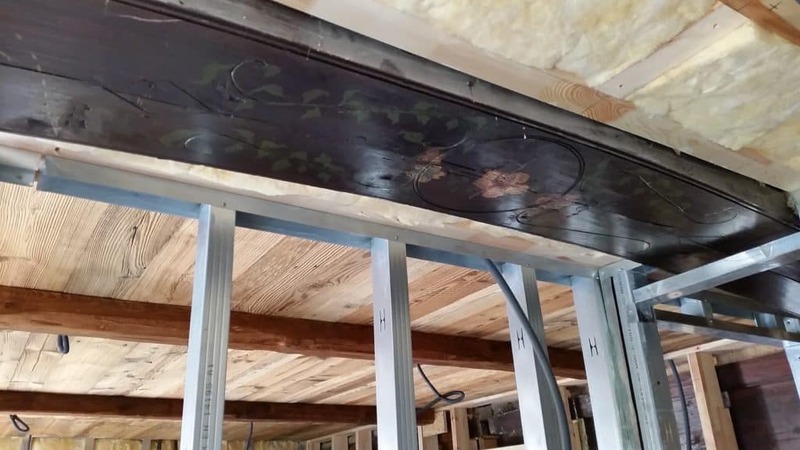 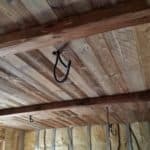 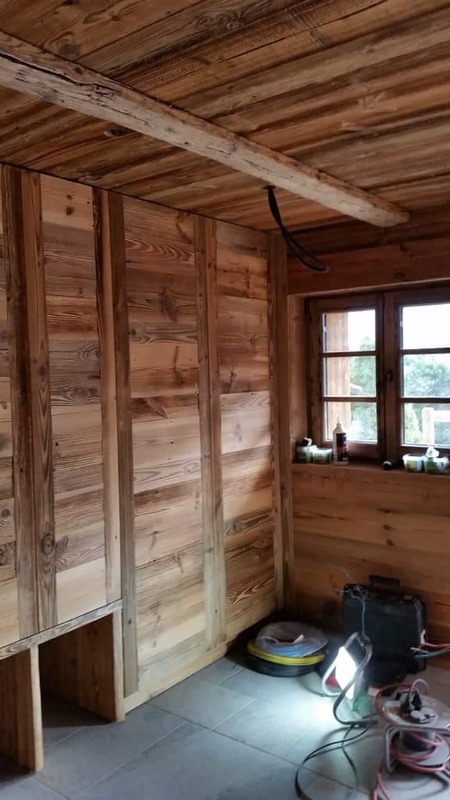 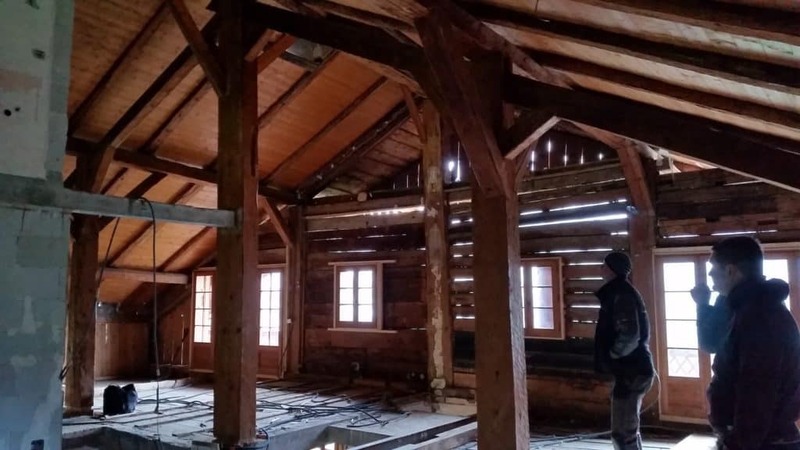 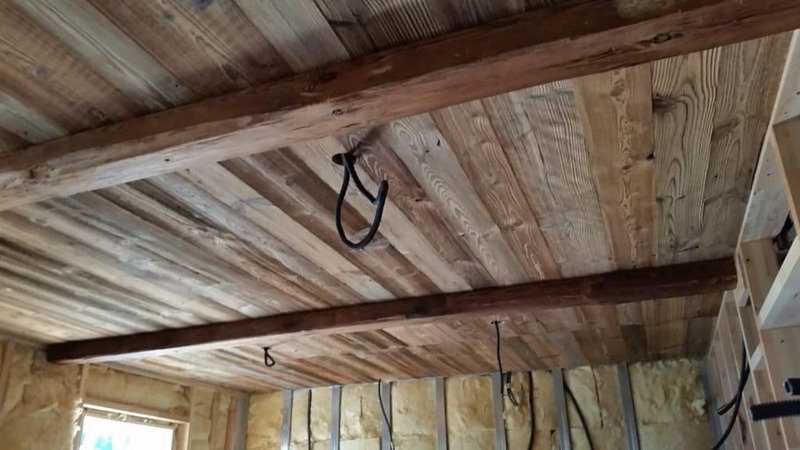 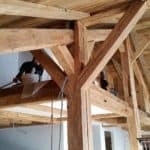 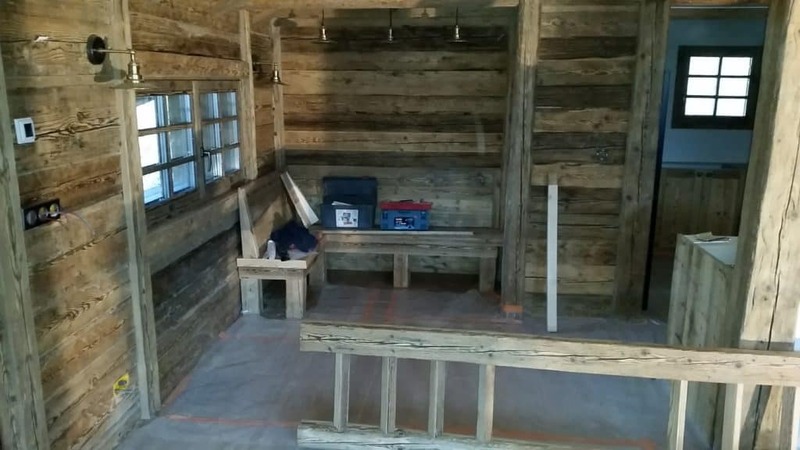 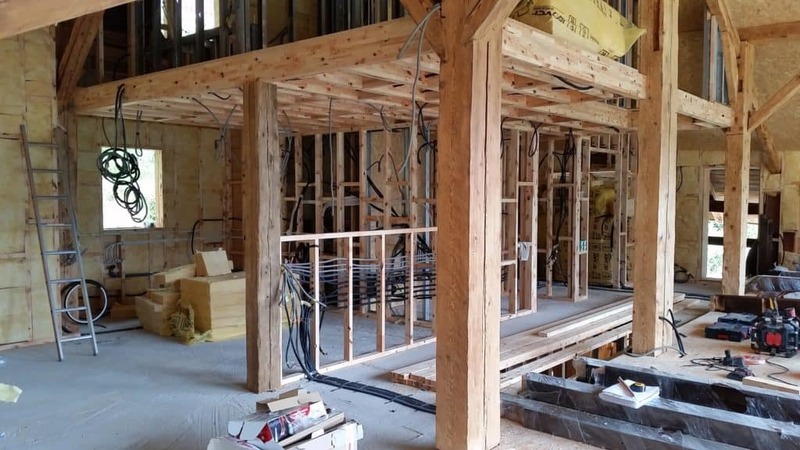 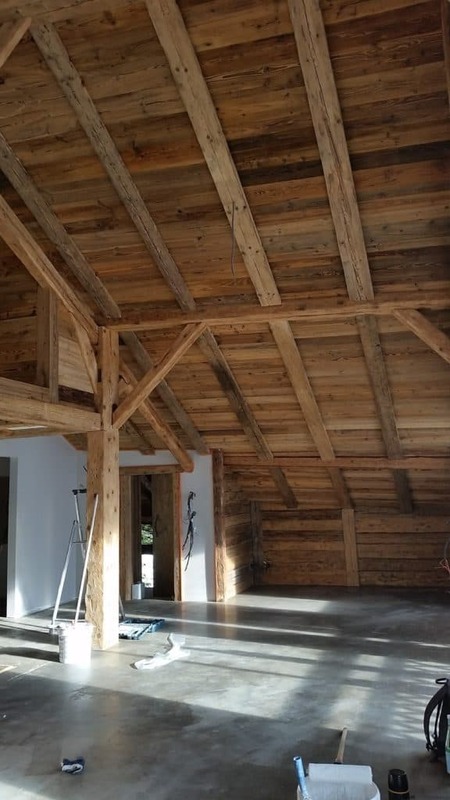 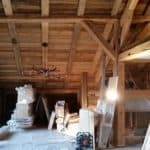 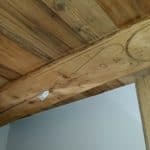 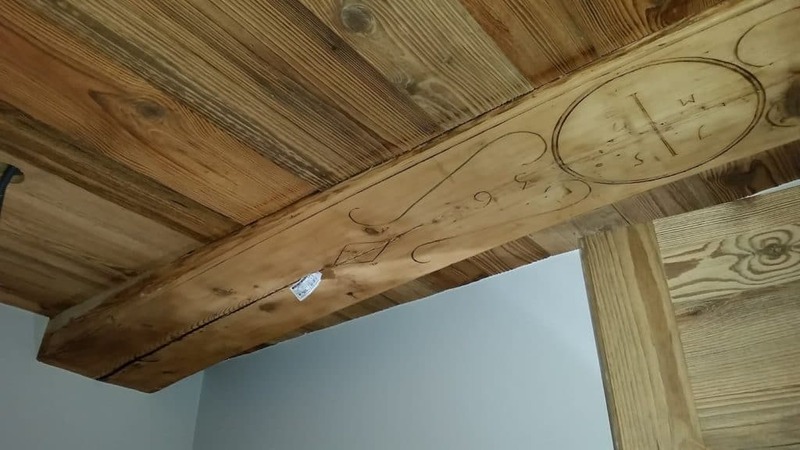 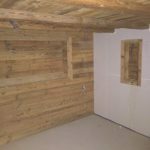 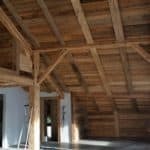 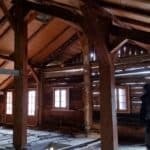 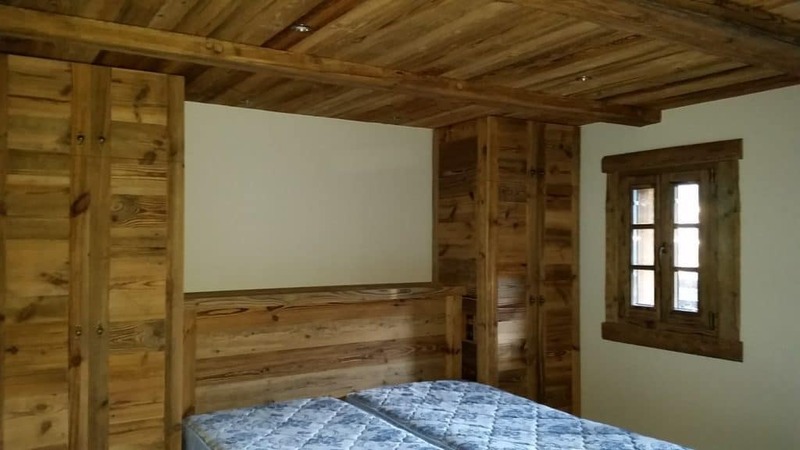 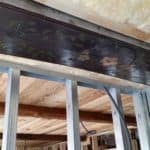 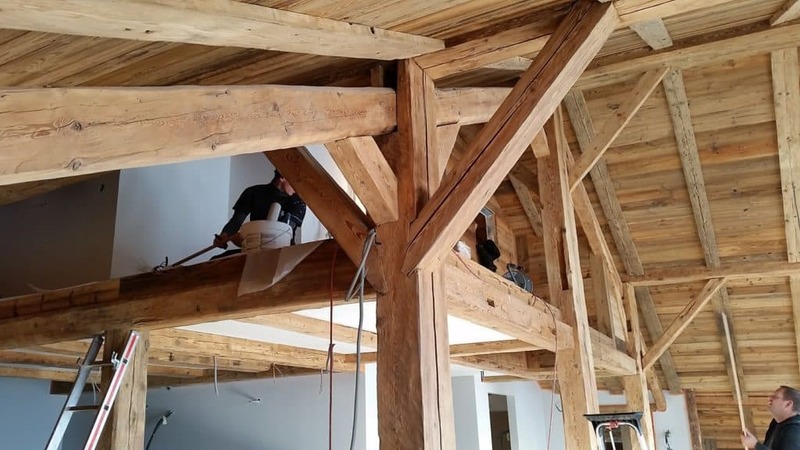 The first of the old wood ceilings are put in place while still carefully retaining the "oldest beam" in the chalet. 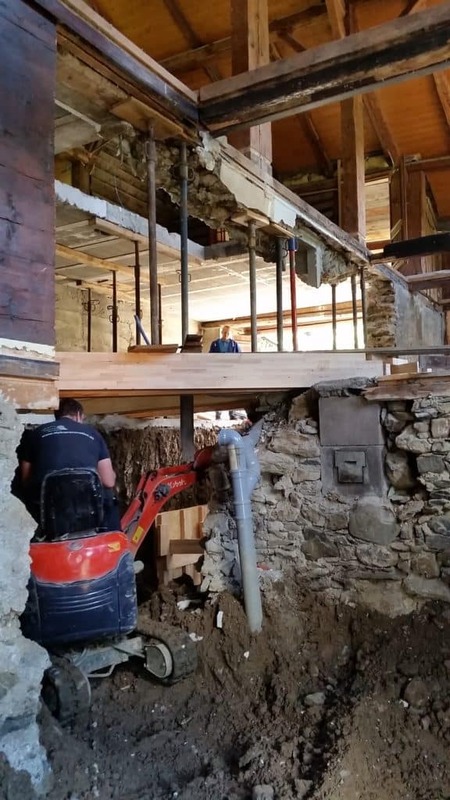 The major structural works started after the end of the winter. 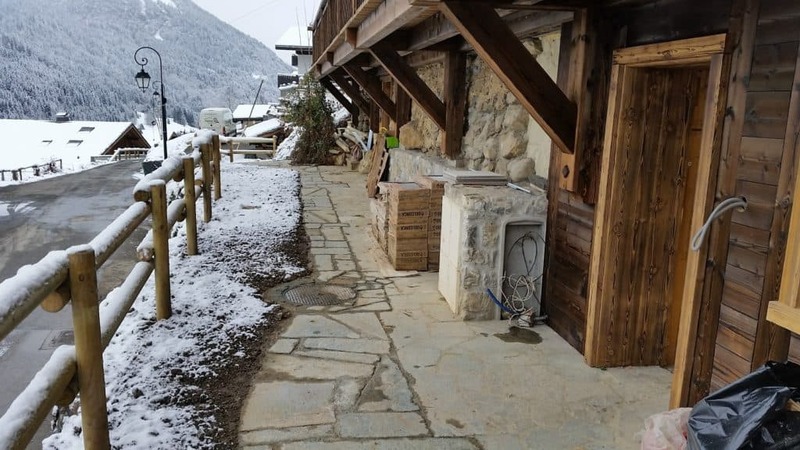 The old caves were dug out to create a new entrance and access into the chalet. 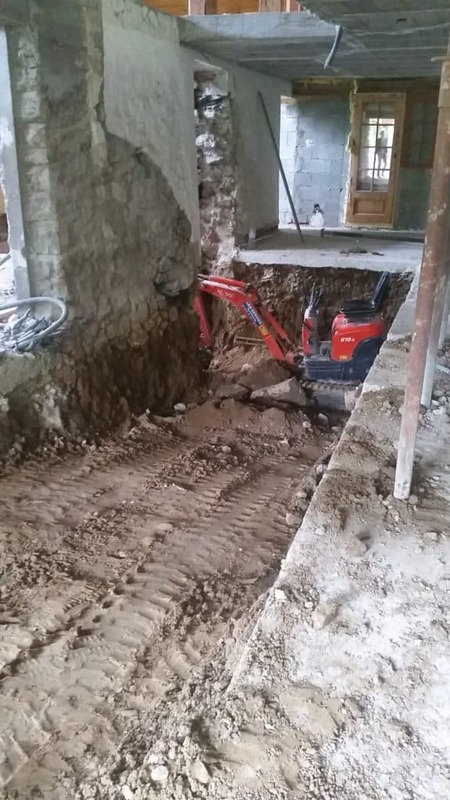 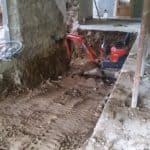 Quite interesting getting a small digger inside the chalet! 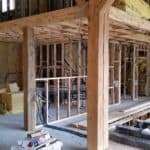 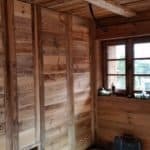 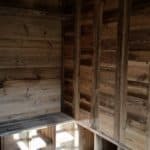 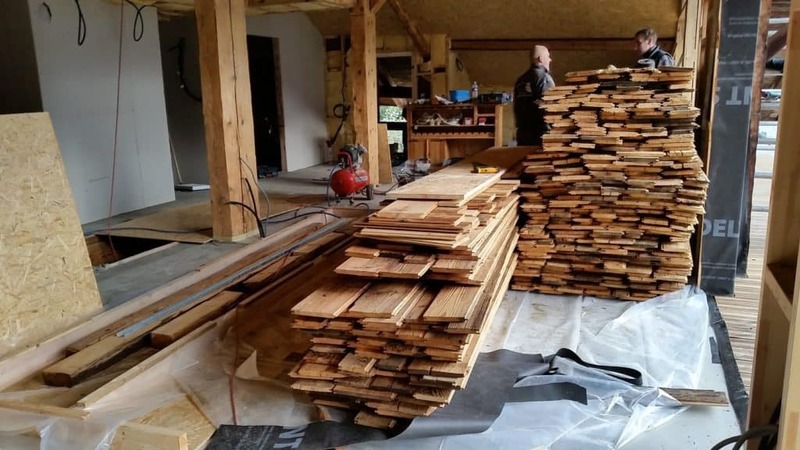 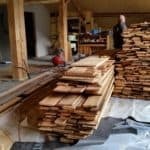 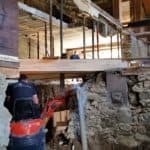 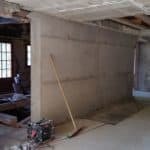 All the floors were removed to insert solid new beams. 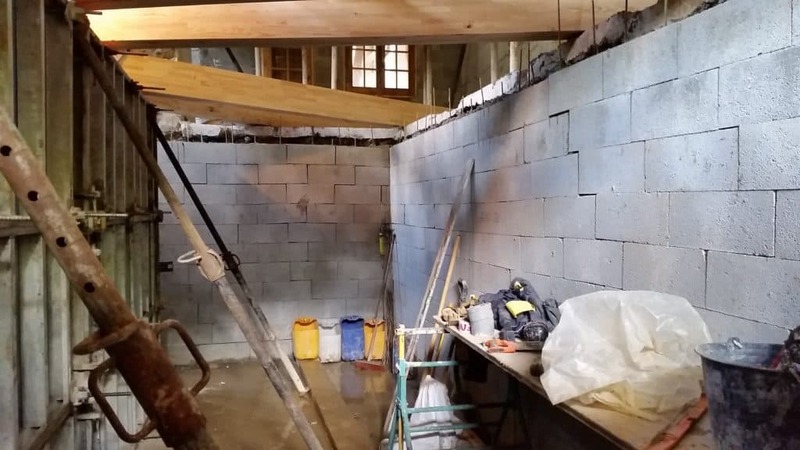 Great to see progress towards the new structure in only a few months. 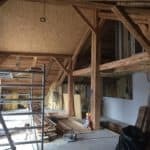 Excited by the development? 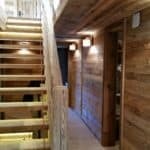 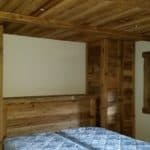 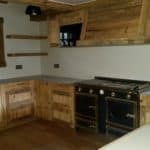 Visit our home page to lean more about Clarian Chalets' fabulous catered ski experience.